St-Thomas-US-Virgin-Islands Tour - The Best of St.Thomas Private Sightseeing Tour Combo: 1 to 7 Passengers! 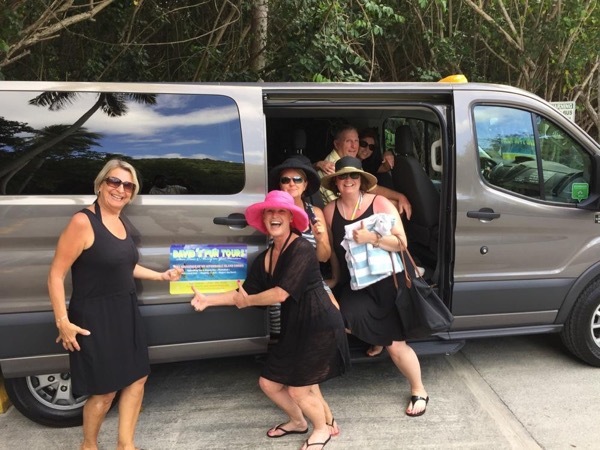 The Best of St.Thomas Private Sightseeing Tour Combo: 1 to 7 Passengers! 599 USD(for up to 7 people) (duration: 6 hours) deposit ? You must be able to get in and our of the car. For the BEST private tour experience in St. Thomas look no further! Explore St. Thomas EXCLUSIVELY in a comfortable, safe, van with just you and your family or group. Unlike a typical Safari bus, our transportation has doors, air-condition and seat-belts. Escape the over crowds on this exclusive small group tour with just you and your group. This allows for a more intimate tour and a great personal experience. We look forward to welcoming you to our island! Book Early! St. Thomas is one of the busiest Ports! After being pickup from your ship/hotel in a comfortable van, guest will be whisk away to the best sightseeing lookout spots in the hills. Along the drive up the mountains guest will be able to take in the views. Guest will be able to come out the van and observe the most magnificent views on the island. Here your tour guide will also explain to you what you are seeing, answer any questions, and take your pictures with views in background. Guest will also be given the opportunity to take pictures of the views. Next, guest will be shown the most famous historic buildings and landmarks on the island. Next, guest will be taken to downtown shopping where they will also get a chance to shop and eat lunch at a local restaurant. Next, guest will be taken to Magens bay beach; the best beach on the island and one of the best beach in the world. Guest have the option not to swim. Finally, guest will be taken back to their ship (on time) or hotel along a different observation route. Extra time is given if needed. Modern, clean, air-conditioned Toyota Sienna 7 passenger mini van. Other: My service as a certified sightseeing and historic tour guide. Transportation to all locations is included. Your pictures taken with views and historic buildings in background with your camera is included. Pickup from ship and drop back to the ship on time is included. For hotel/villa guest pickup and drop back to your hotel/villa is included. 20 USD - The average local plate of food is about $10-$15. In addition there is a $5 admissions fee at Magens bay beach. Great tour! Not exactly a beach person, but Magens Bay was amazing and David stayed with the van and all our items. Experience Six of the Best Things on St. Thomas! Do what you and your Group want to Do!